Today kicks off Sherwin-Williams National Painting Week 2015! What a perfect week to work on a painting project; a piece of furniture, a bedroom, or maybe a small decorative piece that need a little facelift. I have a whole slew of items that need paint makeovers and this is the week that I am pushing to put a dent in that to do list, so I am going to show you some ugly before pictures and share with you the afters throughout the week. 1. 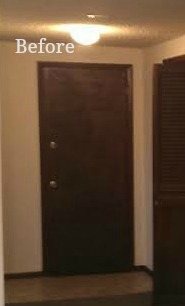 Our basement door. It’s just … ugly. It bugs me every time I see it. We are eventually going to replace it, but until then it needs a major intervention. 2. 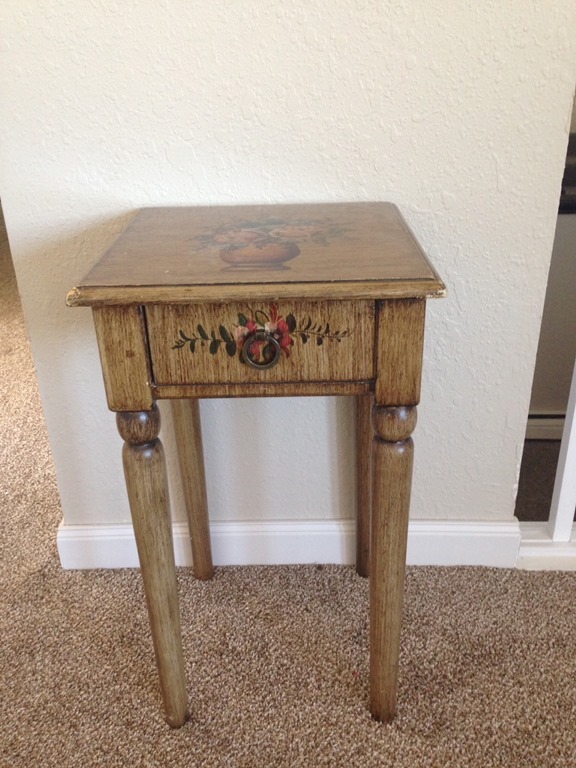 End table: I bought this last year at a garage sale for $10. I love the size and I’m hoping a little paint will make it look brand new. 3. 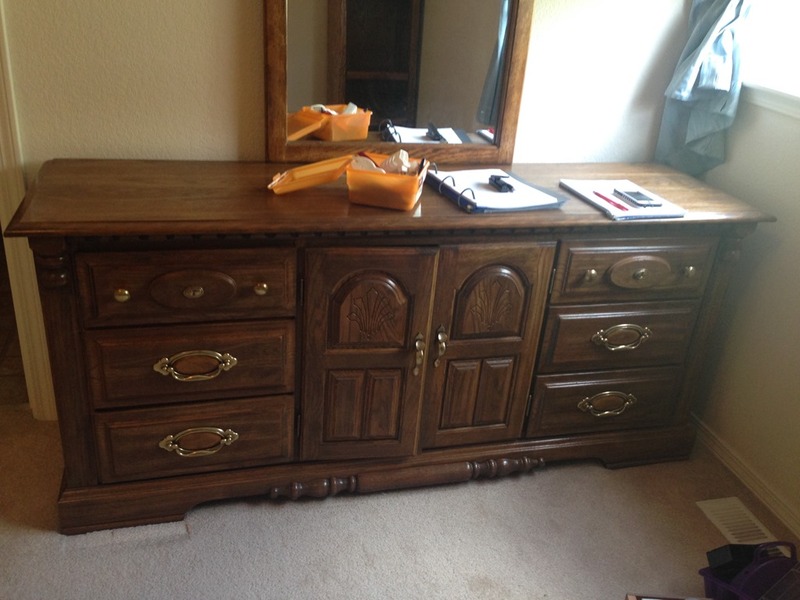 Dresser: This is another garage sale find that I got a couple of weeks ago for $40. It’s super solid and we are in major need of bedroom furniture. I can’t wait to get going on it! 4. Picture frame: It’s big and it’s chunky and it was only $10. I’ll show you what I decide to do with it later this week. Can’t wait to get started!! 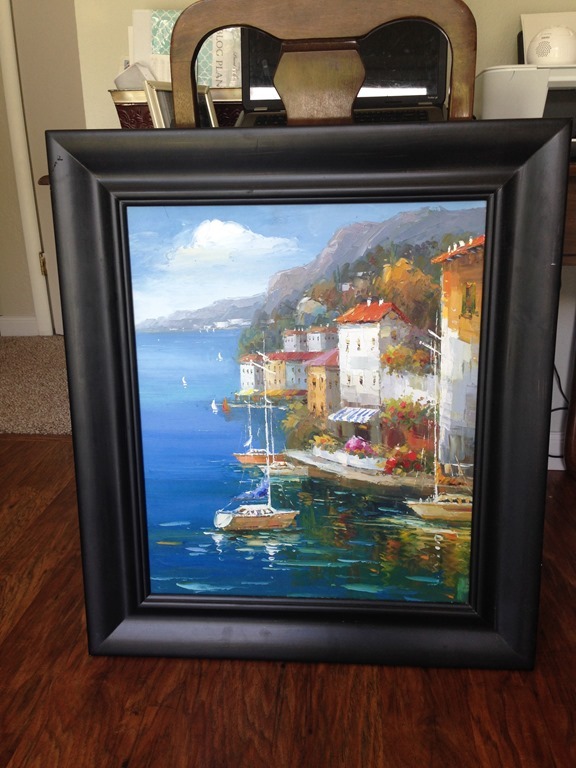 To see more painting inspiration this week, be sure to check out swpaintingweek.com. What about you? Do you have plans to paint anything this week? I’ll be back tomorrow with the afters of our basement door. Hope you have a great day! !